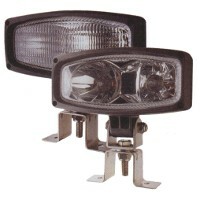 12 or 24 volt halogen bulb (x2) duo power spot work lamp. Supplied without bulbs. Halogen bulb worklamps generate heat, please ensure these lamps are on for no more than 2 hours continuous use. Then switch off and allow to cool. 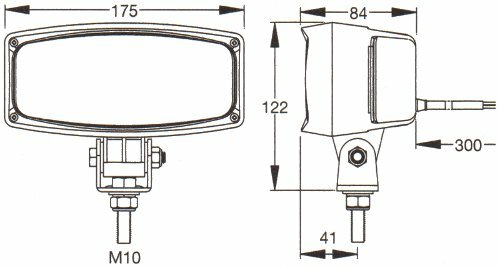 12 or 24 volt halogen bulb (x2) duo power flood work lamp. Supplied without bulbs. Halogen bulb worklamps generate heat, please ensure these lamps are on for no more than 2 hours continuous use. Then switch off and allow to cool.